The bark of Camphor tree has more detailed textures (rough and fissured vertically) and the wood with an odor. 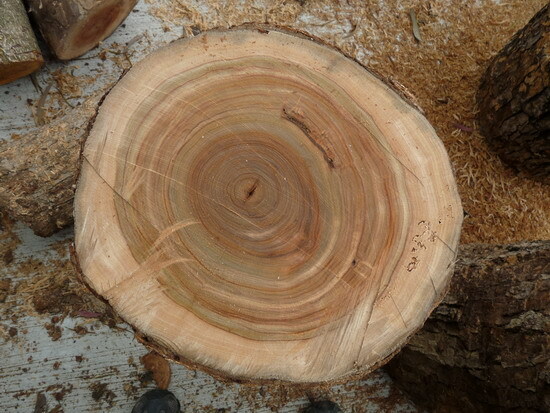 When the tree dies, the wood is usually saved as raw materials for handicrafts. 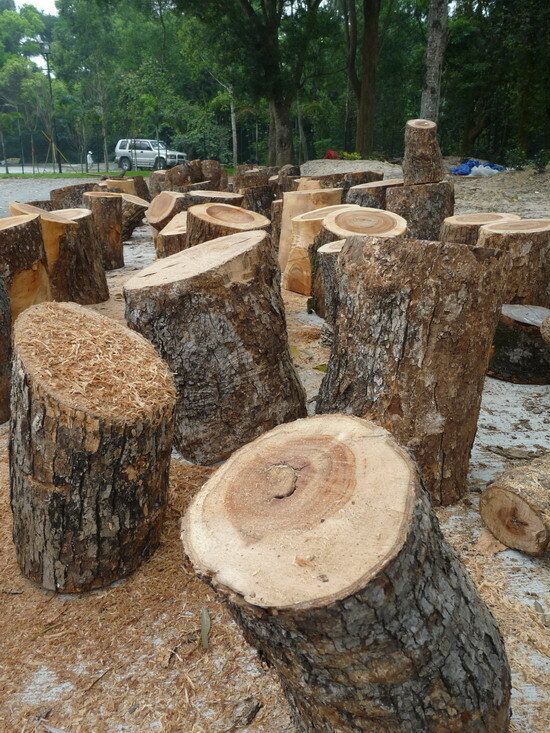 Camphor tree is a useful timber. So, in wartimes, plundering of Camphor was very common.